Here's my 2nd haul from SampleRoom.ph. This is actually timely because I'm already out of shampoo and conditioner, so when Sample Room had Vidal Sassoon, I grabbed it right away! I got Vidal Sassoon Shampoo and Conditioner Premium Base Care Series for 104 points which were deducted on my SampleRoom.ph account. Then I paid Php130.00 for the shipping. Shipping fee is a bit costly considering they're using a courier service that charges less than as to what Sample Room is charging me for the shipping. But nevertheless, it is still worth it because the product is free; definitely a steal, since each bottle's retail price is around Php 199 (both for shampoo's 190 mL and conditioner's 184 mL). Vidal Sassoon Premium Base Care series moisturizes and infuses each hair strand with elasticity to reduce frizz and enable effortlessly lifted styles. It deeply penetrates into hair and targets and helps repair the most damaged parts of hair. Its Dual Surfactant Formula enables deep moisturization of every strand of hair – for hair that’s manageable and easy to style. 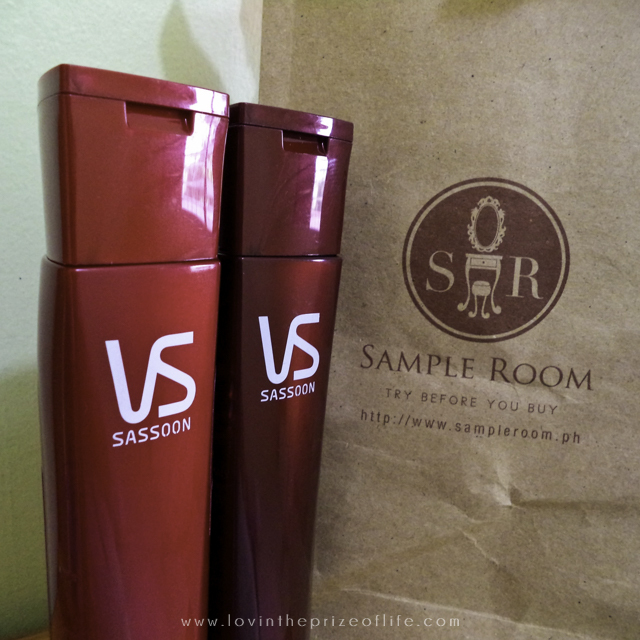 Vidal Sassoon is also available in 480 mL (shampoo) and 470 mL (conditioner) bottle, with an SRP of Php459 each. Here's a short review that I made for Vidal Sassoon.